UPDATE… God uses plain ordinary people to do extraordinary things! 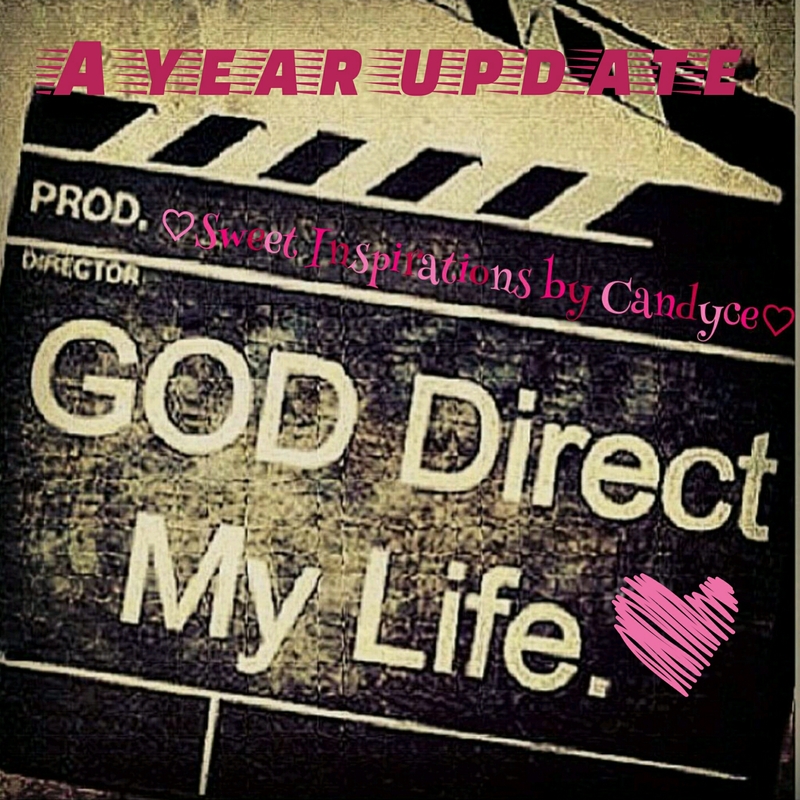 Posted in Christians, Fruitful living, Guidance, Purpose Driven life, Spreading the Gospel	by Candyce D.
WoW I can’t believe that it has been a year since I posted about God using us to do extraordinary things. So much has occurred since that post. Please click on link and read it before you proceed to read this post God uses plain ordinary people to do extraordinary things!!! Ok WELCOME BACK!!! SO.MUCH.HAS.HAPPENED. Well let me get right into it. I was given a vision by God to start up a ministry on September 22,2015. At first I was super excited and ready to spring into action but then the enemy took over. I’m not saying that I turned into this crazy woman but my passion and purpose was attacked and I couldn’t figure out why I stopped pursing my God-given vision. After reading Fervent by Priscilla Shirer it was revealed to me why I stopped pursing my purpose. Satan knew that by me walking in my purpose that I would going against his plan. He knew I am a force that will be victorious. Shedding tears of frustration and formulating a battle plan, empowered me to fight for my purpose! So 5 months later I stepped out on faith and presented this ministry to the youth minister at my church. Since then SO MUCH has happened. God has huge things in store for this ministry and I’m so humbled and blessed to be a vessel to carry His vision out. My biggest update is that on August 12-13,2016 I will be hosting my very first City- wide sleepover conference. I would have never guessed that in a million years that I would be hosting anything. There are so many emotions that I am experiencing leading up to the sleepover. I am SUPER PUMPED to see what God is going to do. He is definitely working on me and my trust levels. Throughout this year so many mind blowing opportunities have been given to me and I can’t wait to see what happens with them all. You’ll just have to stay tuned in to find out…. Check out my ministry website Hey! G.I.R.L. Feel free to leave a comment below on your yearly update. I would love to see how God is working in your lives!!! I’m going to make an example out of you! I know that you have probably heard that ever so haunting phrase “I’m going to make an example out of you”. For a lot of us, that phrase carried a fearful and demeaning tone/message that was associated with it. Whenever you got in trouble or did something that another person that was in authority disagreed with, they felt that a punishment should follow. That punishment would show other people not to make the same mistake or to not disobey their authority. Either way you look at it, there was something to learn. 11-14 Get the word out. Teach all these things. And don’t let anyone put you down because you’re young. Teach believers with your life: by word, by demeanor, by love, by faith, by integrity. Stay at your post reading Scripture, giving counsel, teaching. And that special gift of ministry you were given when the leaders of the church laid hands on you and prayed—keep that dusted off and in use. So back to the title. In this sense of “making” an example out of you, God wants to use all of us as examples to this world to show how GREAT & LOVING & ALL POWERFUL He is. So when things occur in our lives no matter what age you are, be certain that He wants to use you as the perfect example of how God forgives and redeems us from our past. Being the perfect example is simply being who God created you to be. No matter what mess ups you have committed, God uses our MESS ups to be apart of our great MESSAGE. So do not be ashamed of them because we are redeemed!! 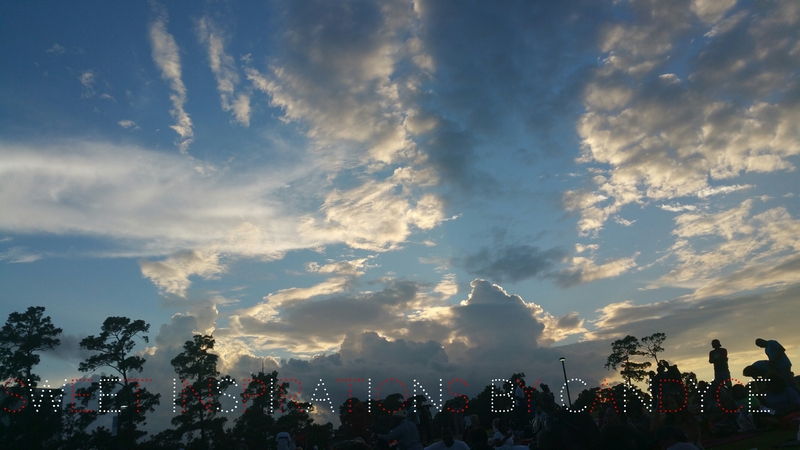 Photo credits: CANDYCE D. I TOOK THAT PICTURE A FEW WEEKS AGO OUTSIDE AT THE MILLER OUTDOOR THEATRE. ‘TIL NEXT TIME MY LOVES!!!!!!!!! !